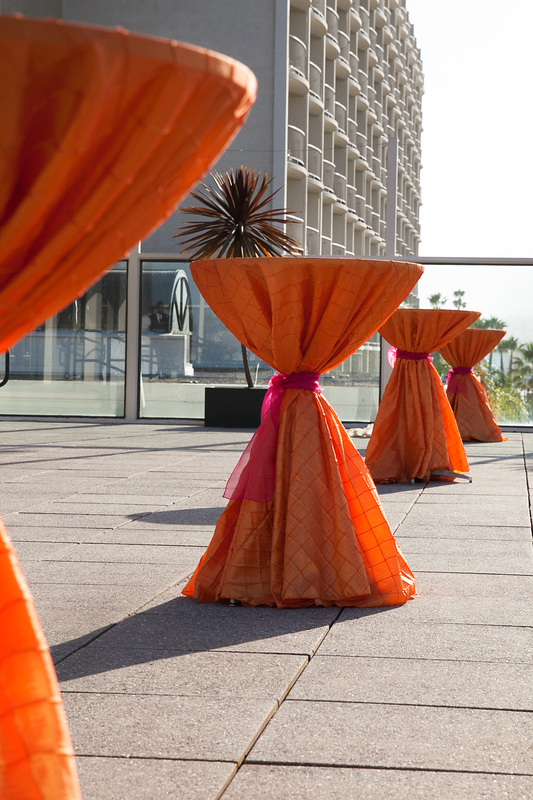 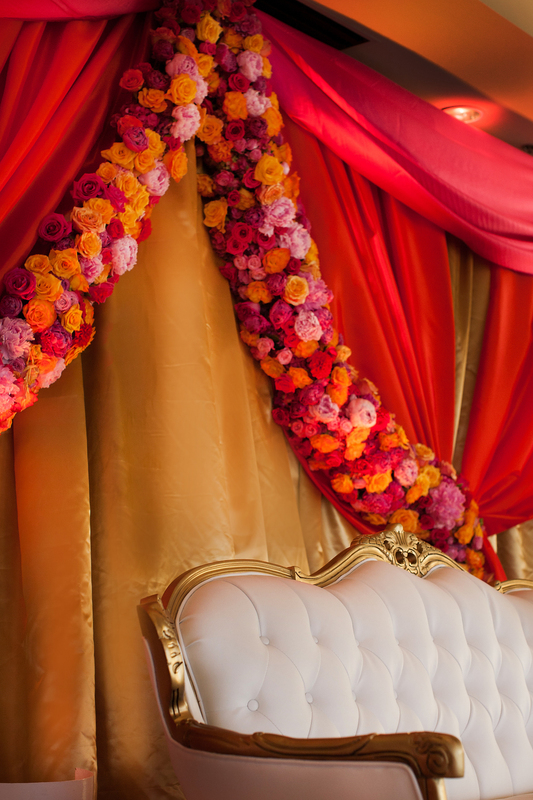 We were excited to design this vibrant Moroccan themed event to start the 2 day festivities for our lovely South Asian Bride. 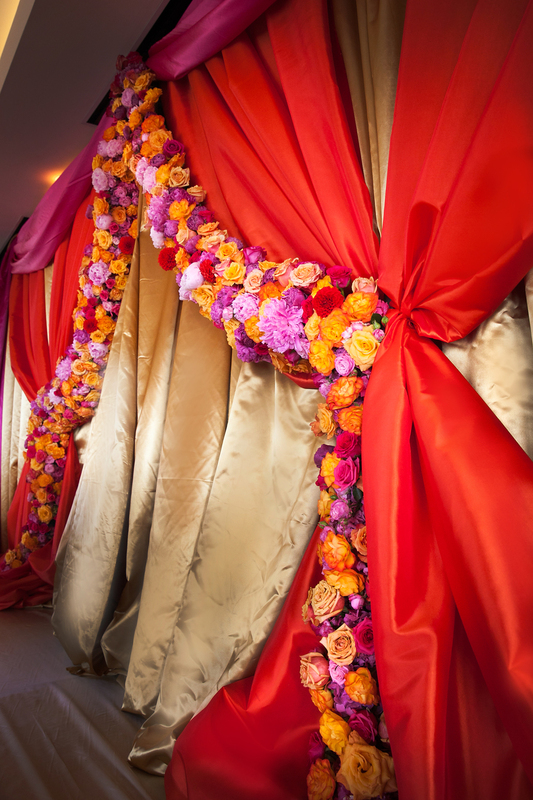 The primary focus of our design was to create an opulent stage draped with vibrant satin fabrics. 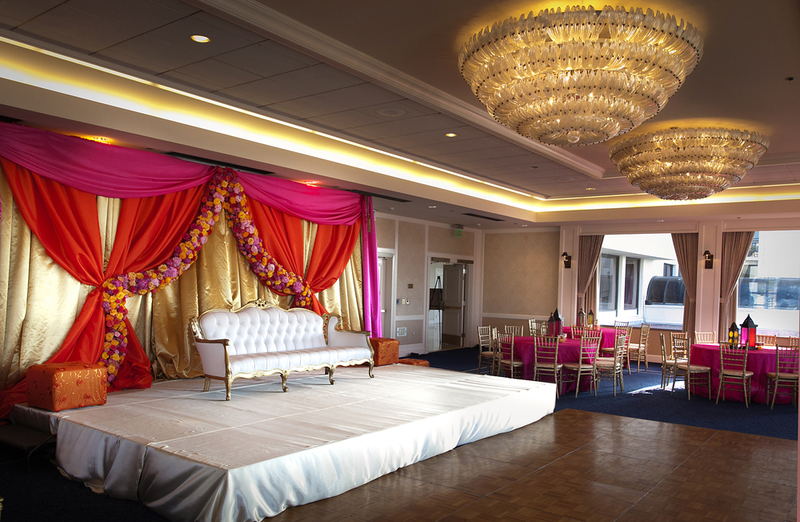 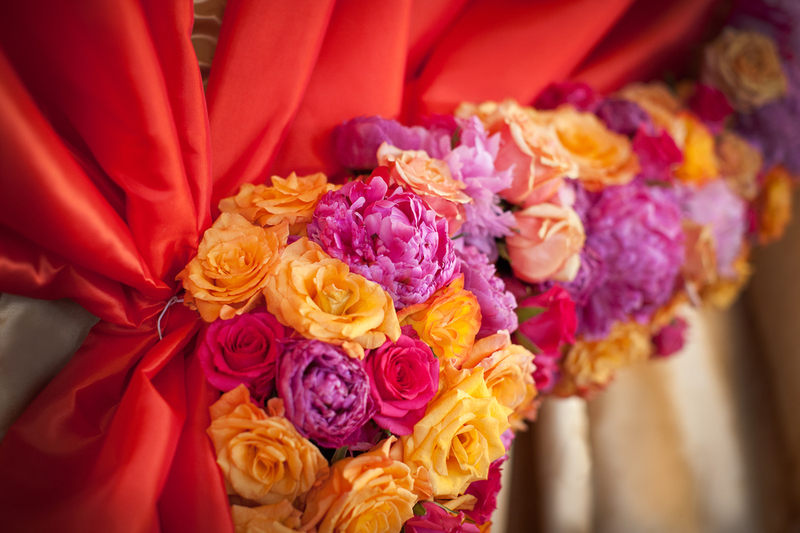 We incorporated lush garlands of flowers with an abundance of hot pink roses, hydrangeas, peonies and orange roses. 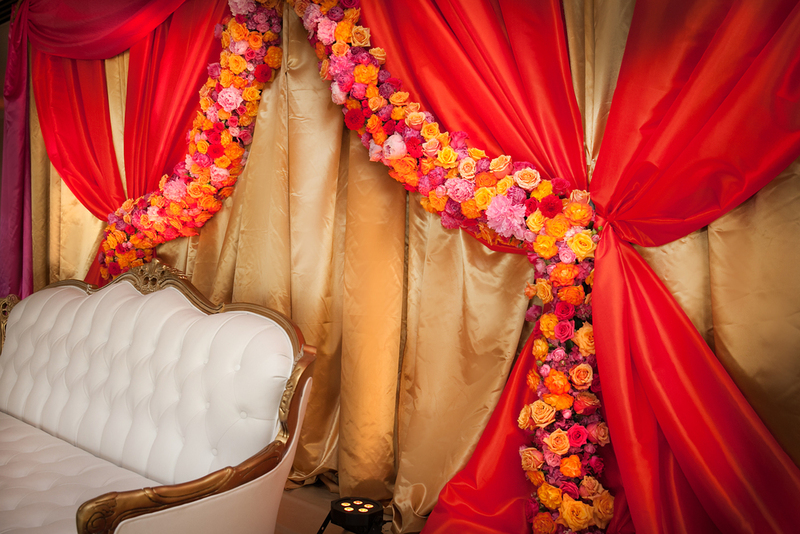 We used a white leather lounge with gold trim from our ArtQuest Flowers personal collection to give a grandiose affect to the stage. 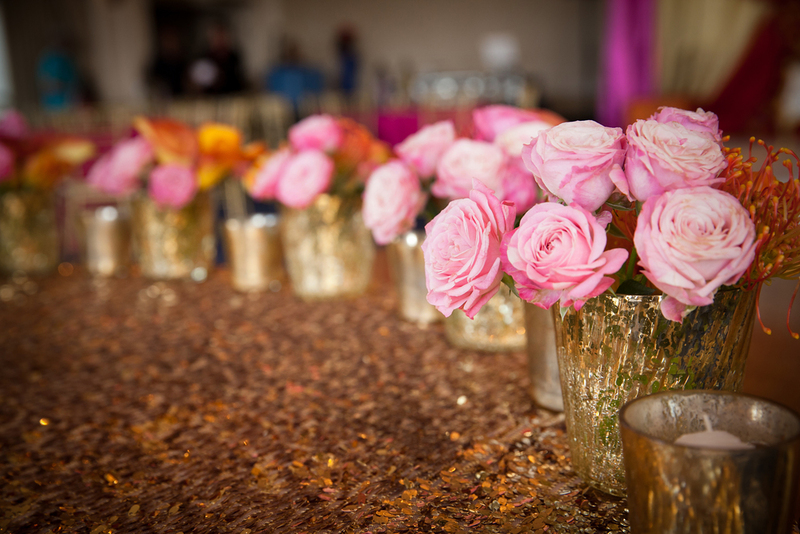 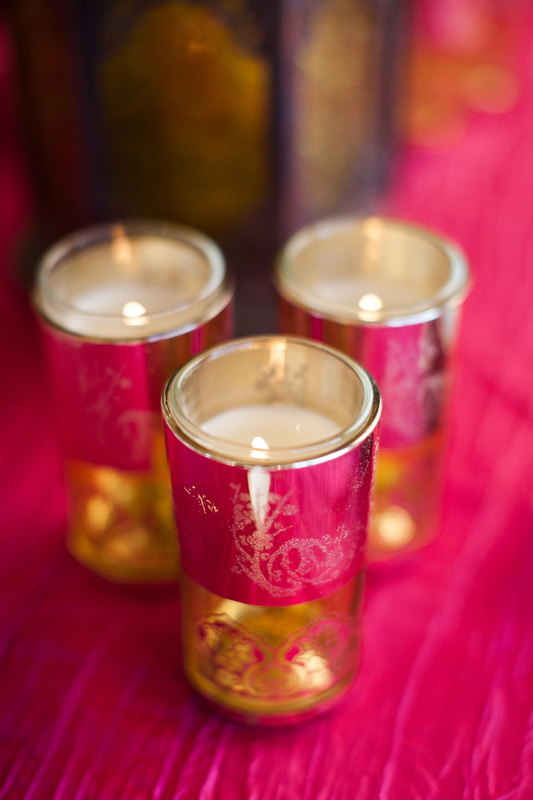 We used a simple centerpiece with gorgeous Moroccan lanterns and unique gold votive.